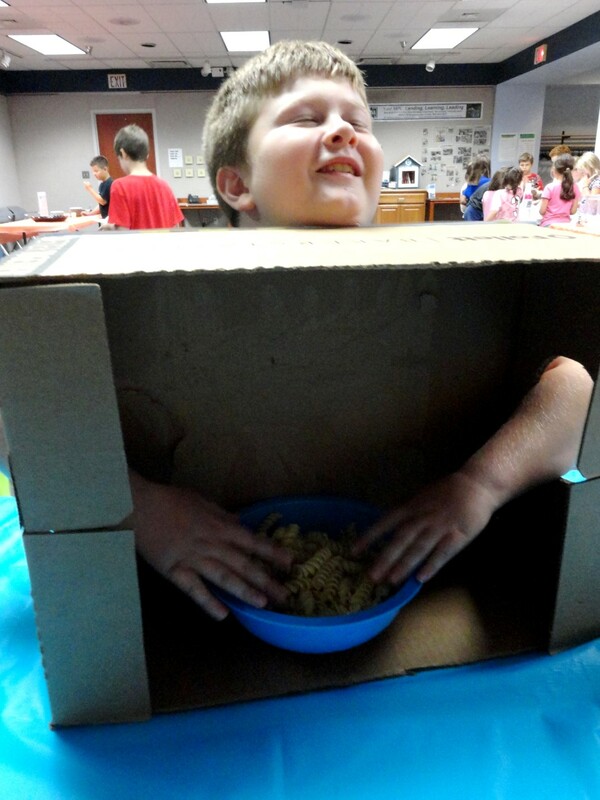 Austin tries to figure out what is in one of our mystery boxes during the senses program at Mentor Public Library. 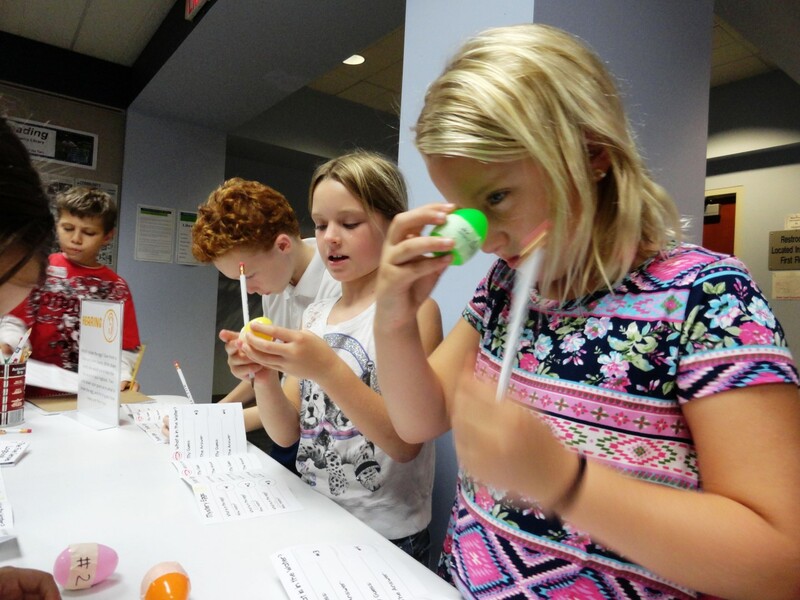 Kids tested all five of their senses earlier this week at our Main Branch. They needed to identify mystery flavors, mystery smells, mystery sounds, and even mystery feels, and they could only use one sense at time. They also made optical illusions. The kids created penny spinners where a few lines of color morphed into a rainbow whenever it spun. This way, the children learned the different ways their senses can work individually and together. And the learning isn’t over. The young scientists are supposed to use their sense of hearing to discern what’s inside the eggs, but a few of them peeked. This entry was posted in Uncategorized and tagged Mentor Public Library, science, senses, STEAM. Bookmark the permalink.